The Hand Mirror: This international womens day, dont miss a beat. 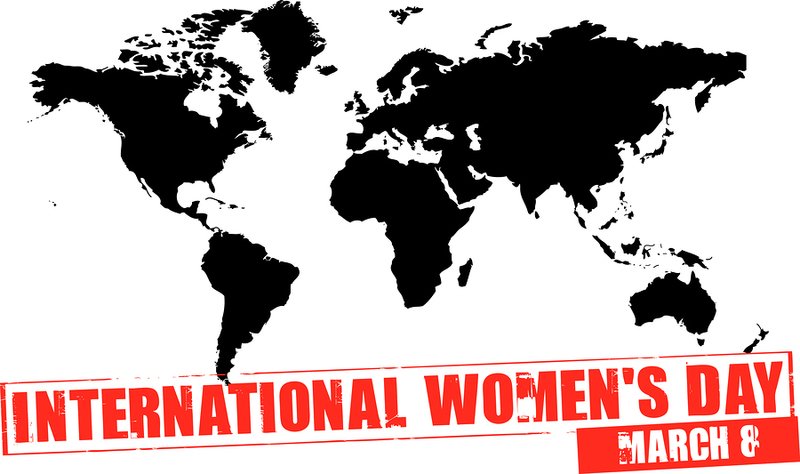 This international womens day, dont miss a beat. In the last week I have had cramps bad enough to require pain killers; I have lost enough blood to warrant taking a prescribed clotting agent twice daily. I have had to apply a menstrual pad to my undergarments while standing on the back of a rescue vehicle hoping like hell my (all cis male) colleagues didn’t notice what I was doing back there because we didn’t have time to stop. I haven’t taken any time off. I have looked pretty crap and asked to leave my 12 hour volunteer shift early (I couldn’t), and slept most of my spare time. But I haven’t taken a day off. Because the STIGMA around taking time off for “lady issues” is so strong. It’s given the side eye. Is she really sick? Is she faking? Is she being a bit soft? I’m TERRIBLE at taking a break and listening to my body, and I am not proud of it. My biggest concern around this is that it is a symptom of a bigger problem. We need to START TRUSTING WOMEN. ﻿﻿We need to believe women when they say they are in pain. We need to believe women when they say something isn’t normal. We need to stop assuming physiological symptoms are related to psychological issues. We need to believe women when they say they can’t keep going like this. And I need to start trusting myself. Take a minute to think about the last time you listened to your body and did what you felt you needed to do to take care of yourself. This lack of trust in women is seen in clinics where women are assessed for anxiety rather than cardiac issues, it is seen in pregnancy cases where women must undergo counselling and multiple consultations in order to gain permission for an abortion. This is a symptom of a bigger issue, and we need to start seeing it. Usually I talk about women’s health at this time of the year in terms of gynae issues as they are close to my heart (metaphorically, not anatomically), but this International women’s day I would like to talk about our cardiac health. I have chosen this topic because it is relevant to both cis and transgender women, and is the biggest cause of Death of NZ women. Cardiac health and disease is still widely misunderstood, most Australian women (and I suspect NZ women) are unaware that heart disease is a major women's health issue (Guillemin, 2004), yet 8 women a day in NZ are dying from cardiac arrest. 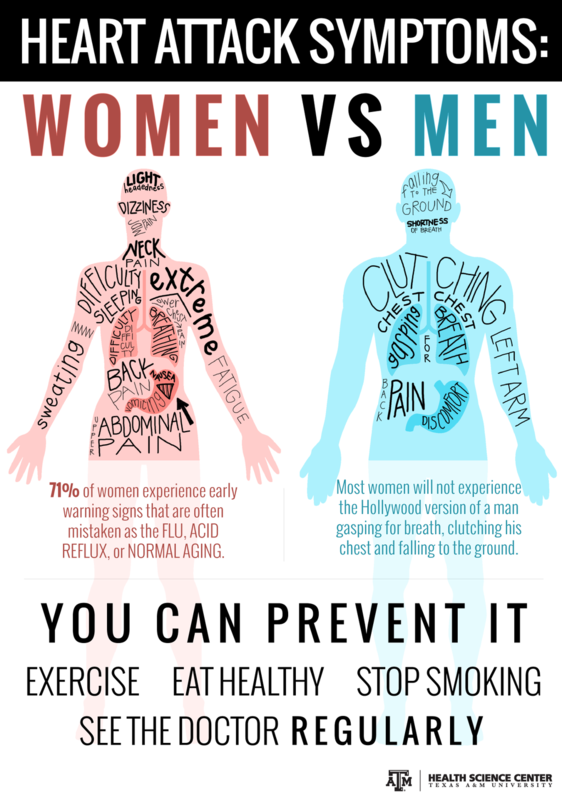 And in US statistics since 1984, the number of CVD deaths for females has exceeded those for males. The outcomes we are seeing in the cardiac cases of women are grim. Women with acute cardiac presentation have poorer outcomes than men, even independently of comorbidity and management of condition. 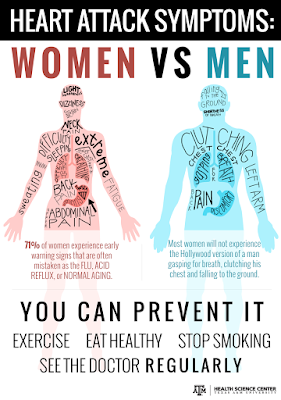 This is despite the fact that women often have less obstruction of the coronary arteries. This out of proportion higher mortality rate is most easily seen in our population of younger women (Davidson et al., 2012). Misdiagnosis and treatment differences in women compared to male patients are a researched issue. In the Framingham Heart Study cohort, half of the acute Myocardial infarctions in women were unrecognised, compared with being 33% unrecognised in male patients (Murabito, 1995). Pope et al. (2000) reported that women presenting to the emergency department with an acute Myocardial infarction were more likely to be discharged without admission than men, and misdiagnosis was a high risk for those who were under 55 years of age. Depressingly, in Canada, Spugeon (2007) found that even once correctly diagnosed, women patients were less likely to be treated by a specialist, transferred, or receive cardiac catheterisation than their male counterparts. I am not here to put the blame entirely on doctors, we need to be aware that as women, we are more likely to underestimate our risk of cardiovascular disease (Hammond et al., 2007), we are more likely to rate our cardiac disease as less severe as our male counterparts (Nau et al., 2005). If we ARE experiencing pain or discomfort in our chest, we are less likely to report it (Canto et al., 2007), and more likely to delay getting help from a doctor (O’Donnell et al., 2006). In case this sounds like classic victim blaming I want to acknowledge that when you look at the statistics in how women are treated when they DO present with chest pain, it’s no wonder they are cautious about presenting at all. Key reasons for delaying treatment include “attributing symptoms to other causes fear of bothering anyone, embarrassment about a ‘false alarm’ and reluctance to call emergency medical services.” (Davidson, et al., 2012, p. 10). So, how can we look after ourselves? 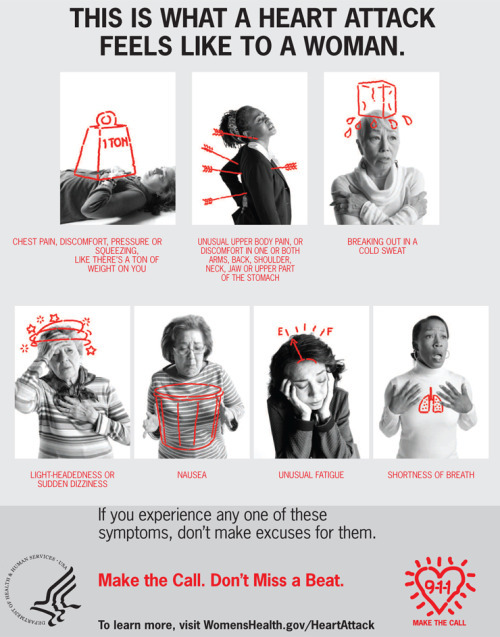 Be aware that during a heart attack women and men may both feel chest pain, but women are more likely to experience less common symptoms such as Back, Neck, Arm, or Jaw pain. Head over to the NZ heart foundation to learn the facts about heart health and disease. If you want to support women, here is what you can do this year. Start believing. If someone you love is complaining of not feeling well, encourage them to listen to their body, encourage them to see a doctor. If that doctor is a jerk, or minimises concerns, encourage them to see another doctor. This international women’s day if you are a woman, start listening to your body. Believe yourself, and if you feel like you aren’t coping, then understand that is real. Be kind to yourself, and seek help. Seek rest. Seek wellness. Pick one thing you can do this year that will help you live a little longer, with less risk. This year I am choosing to promise myself the time to have 3 sessions of cardiac fitness in each week. How I will do that is by cycling to work, swimming, aqua jogging, aqua aerobics, and stationary bike exercise at home. I promise you this. I will look after my heart this year. Because women need strong hearts! What a superbly useful and helpful post - thank you.